Syncfusion Excel (XlsIO) library is a .NET Excel library used to create, read, and edit Excel documents. Using this library, you can import or export data between worksheet and DataTable in C# and VB.NET. 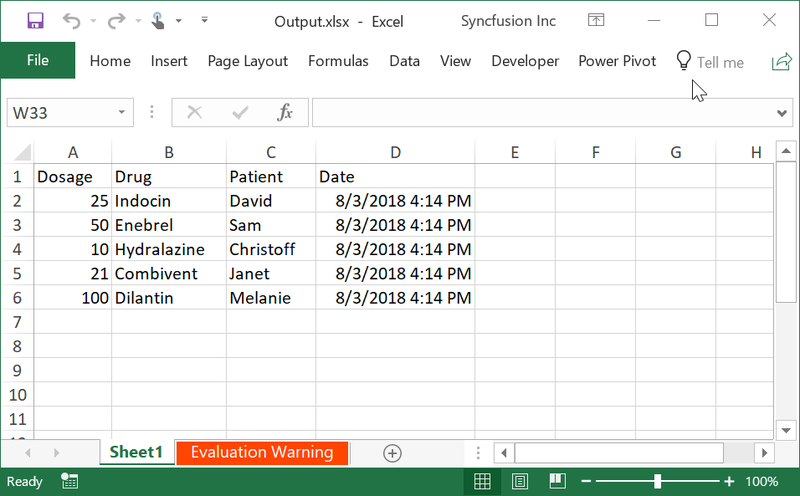 Syncfusion Excel (XlsIO) library supports exporting data from worksheet to data tables and CLR objects including DataTable and DynamicObjects. Exporting DataTable to Excel worksheet can be achieved through ImportDataTable only after the DataTable is filled with data. 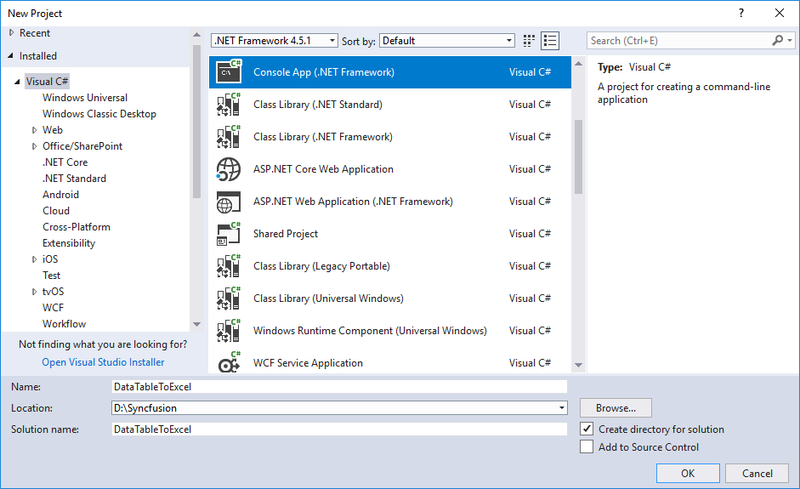 Step 1: Create a new C# console application project. 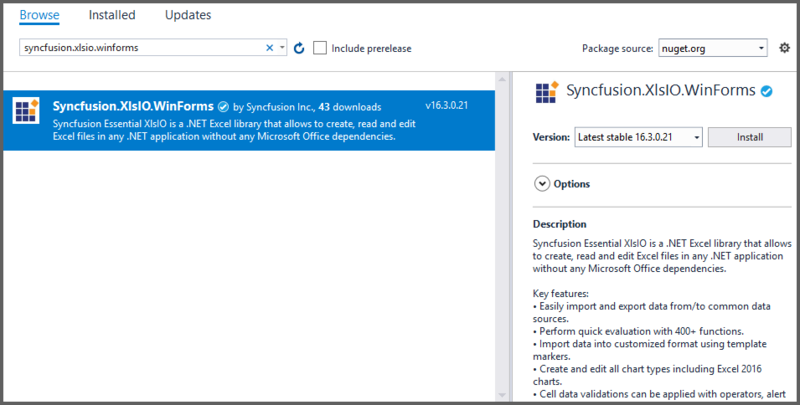 Step 2: Install Syncfusion.XlsIO.WinForms NuGet package as a reference to your .NET Framework applications from the NuGet.org. Step 3: Include following namespaces in Program.cs file. Step 4: Add the following code snippet to export DataTable to Excel file. Step 5: Load the DataTable using the following simple static method. By executing the program, you will get the output Excel file as shown below. Know more about Syncfusion Excel (XlsIO) library through the documentation, where you can find supported features like importing and exporting in DataTable, appending multiple records to worksheet using Template Markers, exporting worksheet into CLR Objects with respective code examples. Refer here to explore the rich set of Syncfusion Excel (XlsIO) library features. An online sample link to Export Data using CLR Objects. Starting with v16.2.0.x, if you reference Syncfusion assemblies from trial setup or from the NuGet feed, include a license key in your projects. Refer the link to learn about generating and registering Syncfusion license key in your application to use the components without trail message.